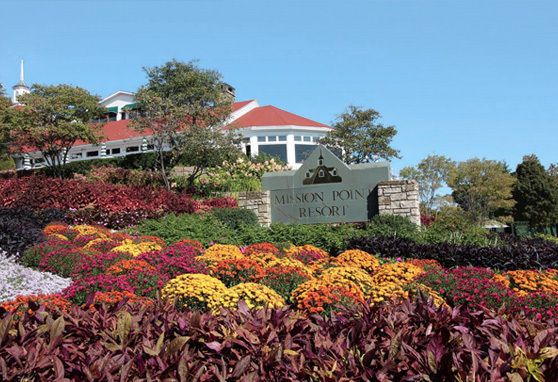 September is a spectacular time to visit Mackinac Island and Mission Point Resort. The flowers are still in bloom and the new fall colors are coming our way. The island is quieter and more relaxed as the school season has started. It is the perfect time to visit. Package starts at $338 per night with double occupancy. Additional per person fees will apply. Call us at 800.833.7711 to book this special package. Please note: this offer is not available online – you must call to book. More than a destination, Mission Point is an experience of the true pleasures of genuine hospitality, simple comfort, delicious food, all in a setting of relaxed elegance and unparalleled beauty. Subject to availability. Standard booking and cancellation policies apply.